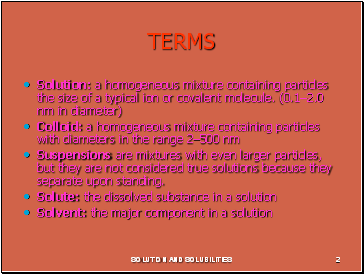 Suspensions are mixtures with even larger particles, but they are not considered true solutions because they separate upon standing. 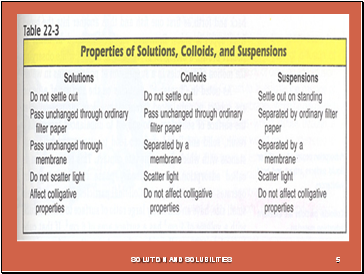 A Supersaturated solution can form when more than the equilibrium amount of solute is dissolved at an elevated temperature, and then the supersaturated solution is slowly cooled. 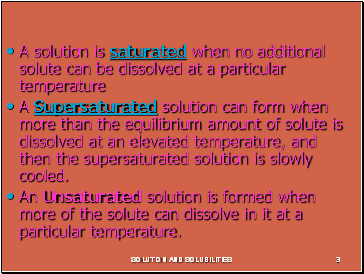 An Unsaturated solution is formed when more of the solute can dissolve in it at a particular temperature. 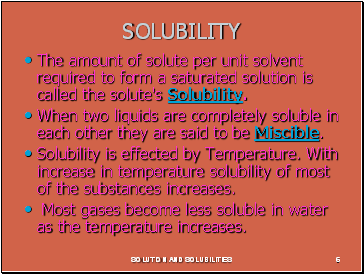 The amount of solute per unit solvent required to form a saturated solution is called the solute's Solubility. 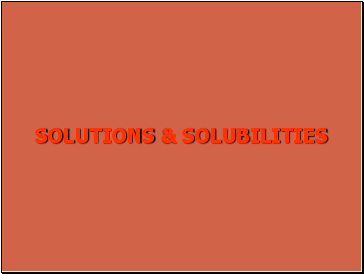 When two liquids are completely soluble in each other they are said to be Miscible. 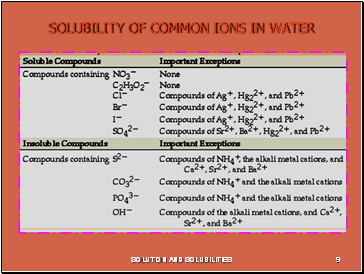 Solubility is effected by Temperature. 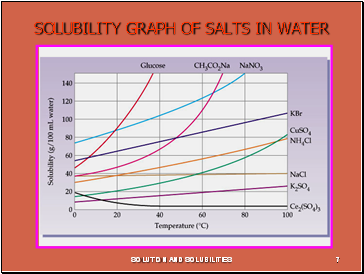 With increase in temperature solubility of most of the substances increases. 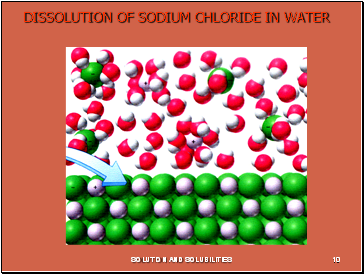 Most gases become less soluble in water as the temperature increases. 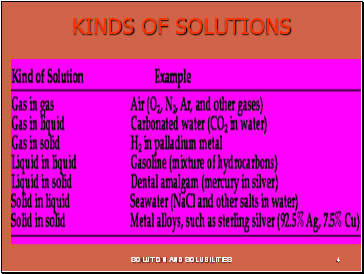 Pressure has little effect on the solubility of liquids and solids. 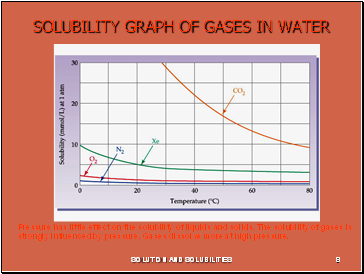 The solubility of gases is strongly influenced by pressure. Gases dissolve more at high pressure.